LAS VEGAS – Amazon.com has developed several hardware products in its history such as the Kindle e-reader, Alexa and the Fire tablet, but until today the Amazon Web Services side has not. 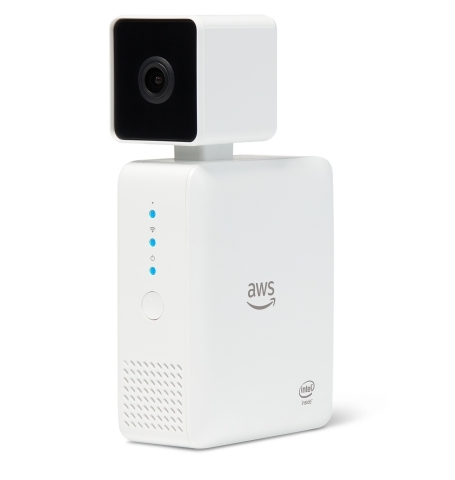 AWS at the Re:Invent 2017 conference introduced its first hardware product called DeepLens, a wireless HD video camera that is machine learning enabled. DeepLens is not your ordinary pro-sumer type of camera as it can run real-time computer vision models. DeepLens was developed after AWS learned from other Amazon hardware products such as Alexa. One area of focus for the DeepLens camera is in the education vertical and Barr said he expects channel partners to build solutions on top of the hardware system. “We expect to see this in the classroom. When you get data from pre-determined models you can make smarter decisions. The reality is putting all that together is where we are going to need strong partners and it can be a power thing to provide the education market with that kind of an experience,” Barr said. The AWS DeepLens is available now for pre-order at Amazon.com, but Barr envisions channel partners using DeepLens as part of a much bigger solutions and taking it to market that way. Barr added that he would not be surprised to see channel partners come to AWS with new and interesting solutions built for AWS DeepLens. However, he expects the first set of buyers to be existing AWS cloud customers who have internal resources for coding. “It’s going to be a unique ramp up with DeepLens and I expect to see it being used for a math class that can train students on machine learning,” he said. The DeepLens was just one member of a new product series for machine learning that also included new machine learning services and an update to Amazon SageMaker, the company’s managed service for developers and data scientists for building, training, deploying, and managing machine learning models. DeepLens was also supported with new services that emulate the human-like cognition such as Amazon Transcribe for converting speech to text; Amazon Translate for translating text between languages; Amazon Comprehend for understanding natural language; and, Amazon Rekognition Video, a new computer vision service for analyzing videos in batches and in real-time. The DeepLens video camera’s machine learning capabilities have been built with Greengrass technology. One of the examples AWS talked about at the Re:Invent 2017 show is programming DeepLens to recognize license plates that will lead to a person’s garage door to open. Another example is having DeepLens alert you went your dog is about to jump on the sofa. DeepLens is a custom-designed device that can run more than 100 billion deep learning operations per second. Out of the box, the DeepLens camera will have sample projects, example code, and pre-trained models. AWS is projecting that developers will work with the camera to create their own custom, deep learning-powered projects. AWS added that DeepLens will integrate with SageMaker specific to the developer community so that they can train their models in the cloud and deploy them, in-real time, on any other device.